Bath hardware with an interesting angular design. Die cast metal with a nickel plated finish and concealed mounting hardware. Command Large Double Bath Hook attaches securely and easily to a variety of surfaces, including paint, wood, tile and more. When you are ready to remove your Command Bath Hook, it comes off cleanly without damaging surfaces with holes, marks, sticky residue or stains. The Delta Lorain collection showcases curves with subtle hints of a whimsical design and intrigue. Delta makes installation a breeze for the weekend DIYer by including all mounting hardware and easy-to-understand installation instructions. You can install with confidence, knowing that Delta backs its bath hardware with a Lifetime Limited Warranty. Zen Double Hook Nickel Bath hardware with an interesting angular design. 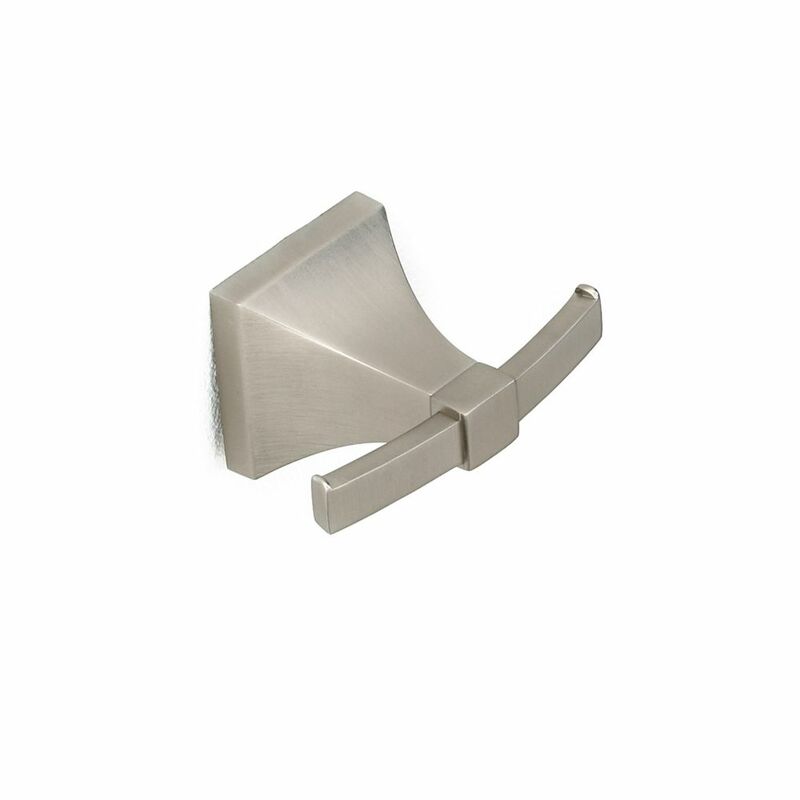 Die cast metal with a nickel plated finish and concealed mounting hardware.